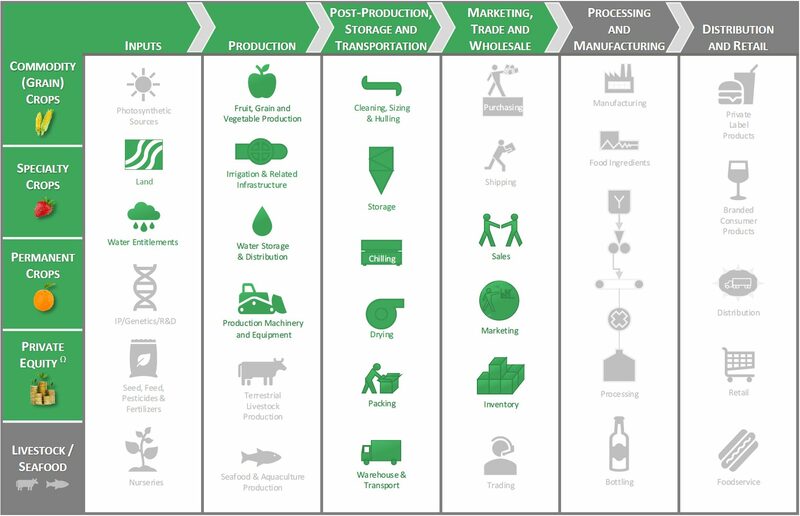 Below is a graphic depicting the basic Food and Agriculture Value Chain. The areas where we are focused are highlighted in green. Click the image above to view or download a PDF version of the graphic. AgVictus Capital Management (AgVictus) is providing this site and its contents on an “as is” basis and makes no representations or warranties of any kind with respect to this site or its contents. AgVictus does not represent or warrant that the information accessible within this site is complete or current. This website and its contents are not intended to sell products or services.